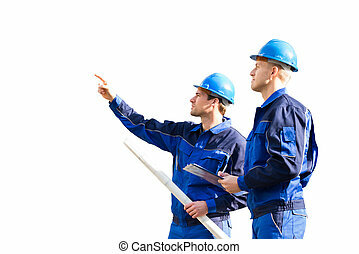 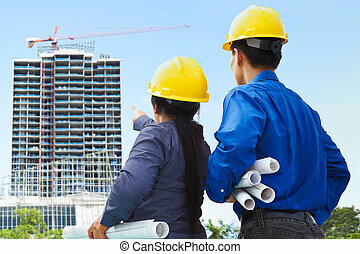 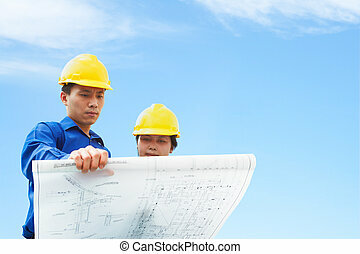 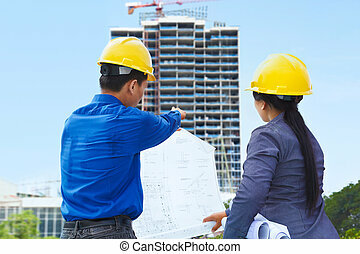 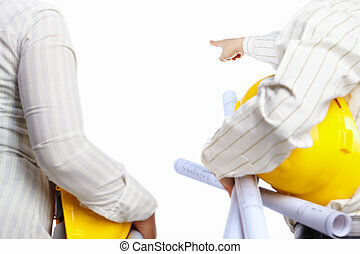 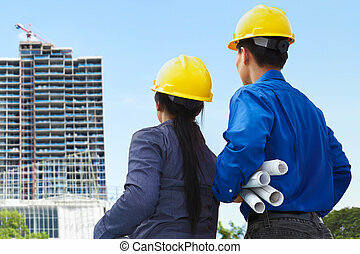 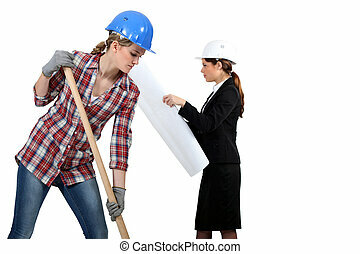 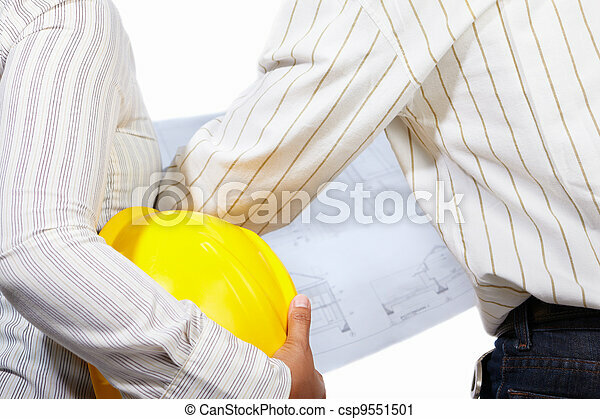 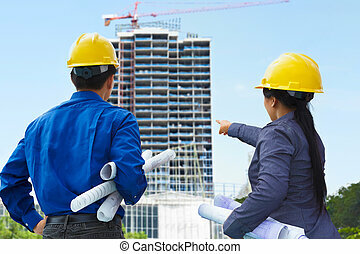 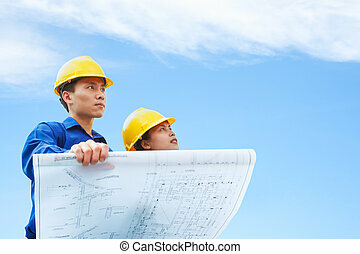 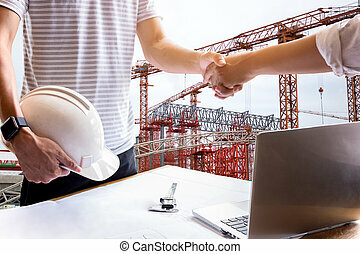 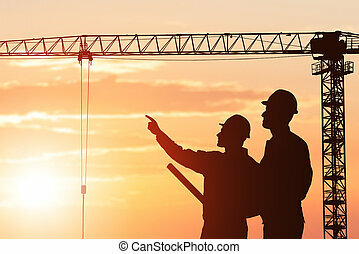 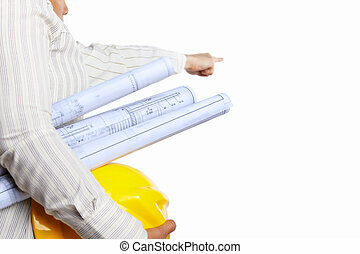 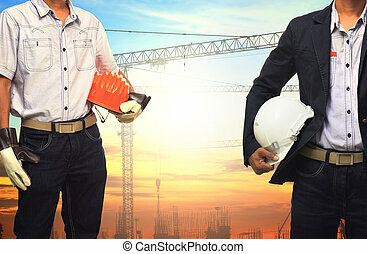 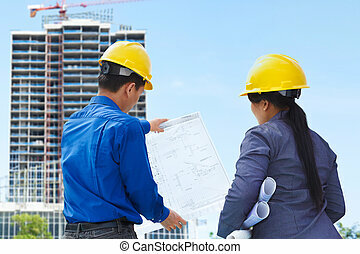 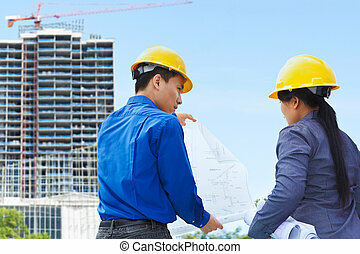 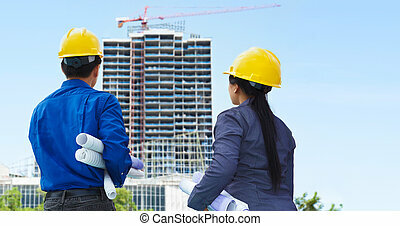 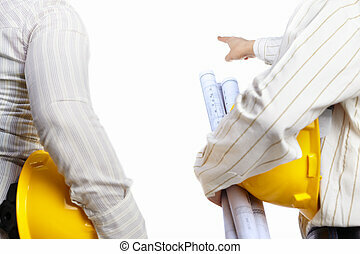 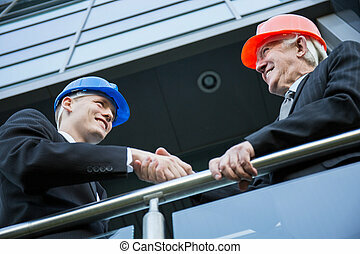 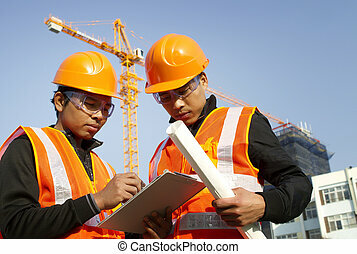 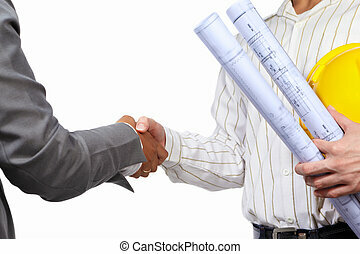 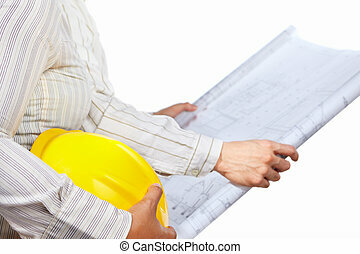 Civil engineer and partner body's part, isolated over white background. 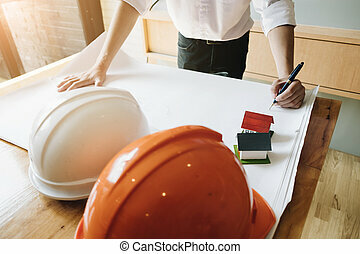 Young Architect Male Freehand Drawing, Civil engineer sketching a blueprint of construction project with small house model and safety helmet in office, Construction Concept. 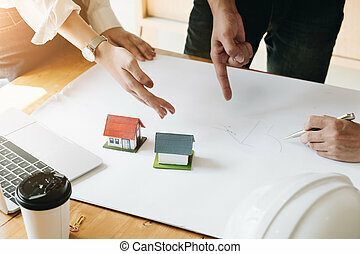 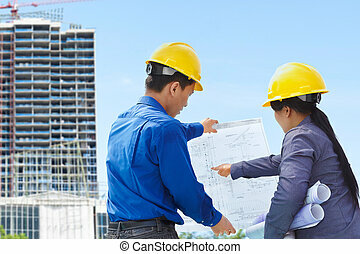 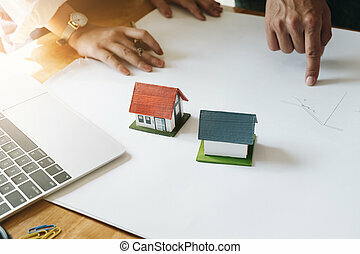 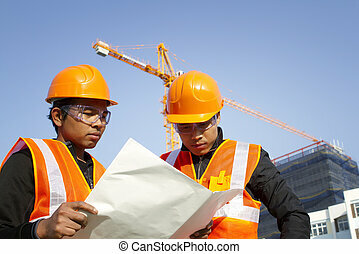 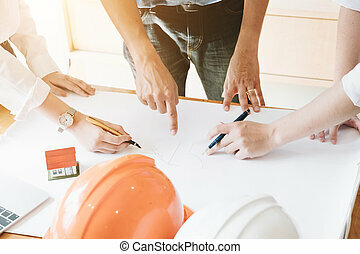 Architect Team Brainstorming Planning Design, Civil engineer sketching a blueprint of construction project with small house model and safety helmet in office, Construction Concept. 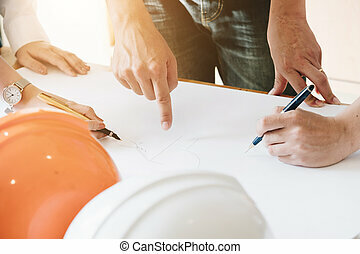 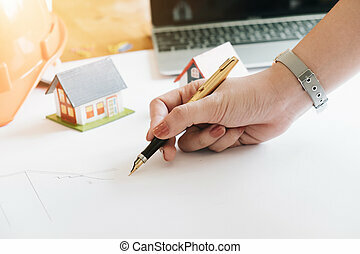 Close up of Young Female Architect Freehand Drawing, Civil engineer sketching a blueprint of construction project with small house model and safety helmet in office, Construction Concept.